Your Command Center: The focus is on driver comfort and control. Low Impact: 26 inch rear tires, lead the competition in size. 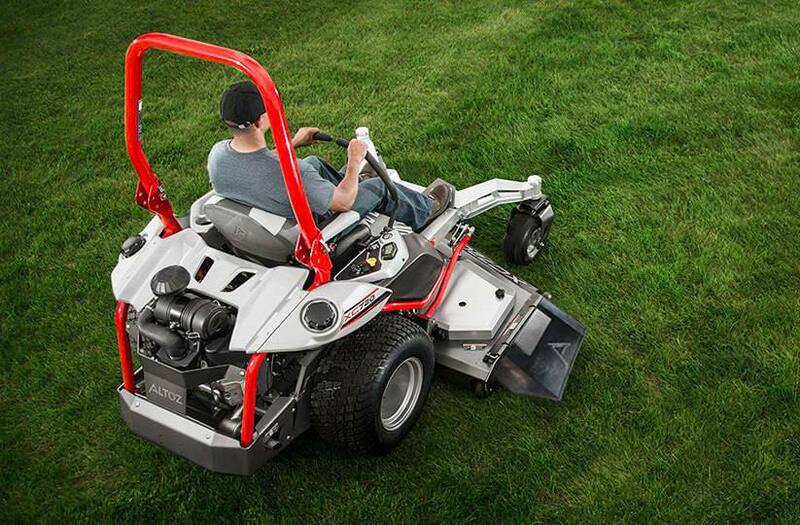 Designed to increase speed, lessen terrain impact and provide a smoother ride. 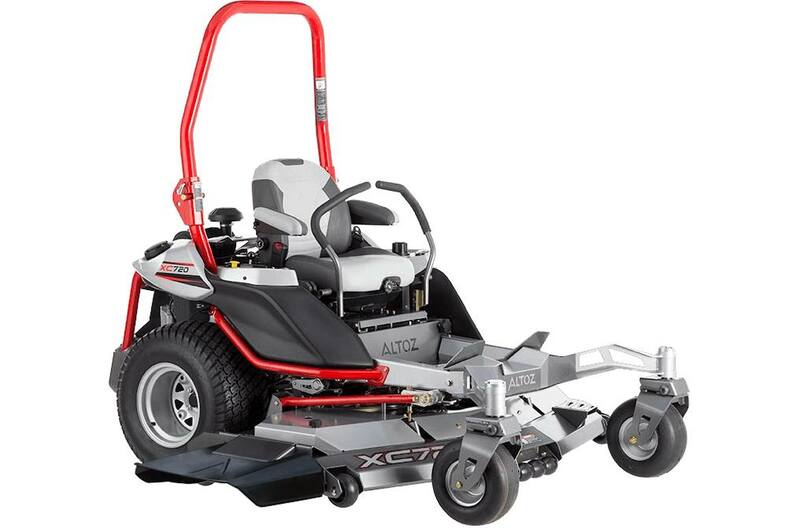 Aero Deck™ Cutting System: Exclusive Aero Deck™ features recessed anti-scalp wheels and fully adjustable baffles for a professional-grade cut every time. Eliminate Vibration: The 6-point Vibration Isolation System isolates the seat and foot wells to protect the rider from ground vibration. Durability: Fork castors with heavy-duty 1-1/4 inch tapered roller bearings. Engineered to deliver maximum performance and durability in demanding conditions. Maintenance Free: Heat-dissipating aluminum deck spindle housings with 4 sealed bearings per spindle operate at lower temperatures providing extreme strength and durability. Customized Comfort: Ultimate driver comfort is possible thanks to multiple seat adjustment options including fore and aft, armrest, tilt, lumbar support and rider weight. Easy Access: Deck step with raised metal traction plate. 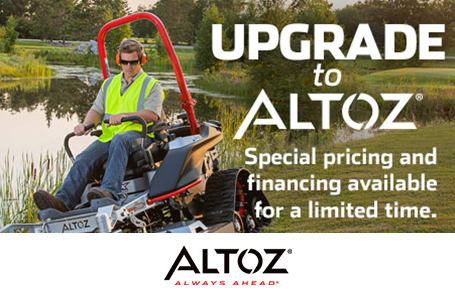 Hydro-Gear® Transmissions: Dual Range Commercial Twin transmission helps manage various types of terrains and allows for travel speed of up to 19 mph (XC Z models). Increased Visibility: Low profile front frame viewport allows for improved operator line of sight. Power on the Go: Convenient 12-volt accessory power outlet and device storage compartment. Rugged Chassis: C-Channel frame rails with formed, laser-cut and welded heavy gauge steel for maximum strength and rigidity. Cut Height (Min - Max): 1.5" - 5"
Front: 13 in. ; Rear: 26 in.